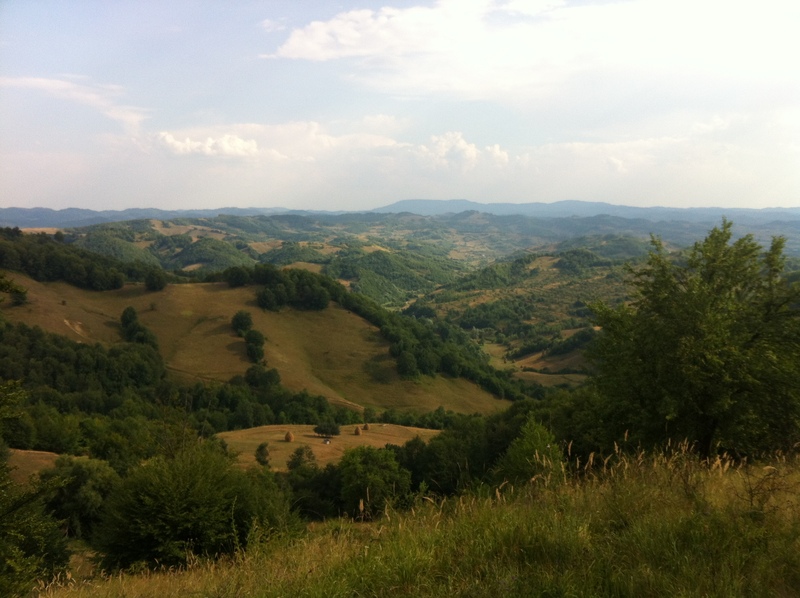 Summer as a Peace Corps Volunteer in Romania is an incredible time. School is out and volunteers are left to fill their free time participating in camps, travelling and entertaining visitors from the States. 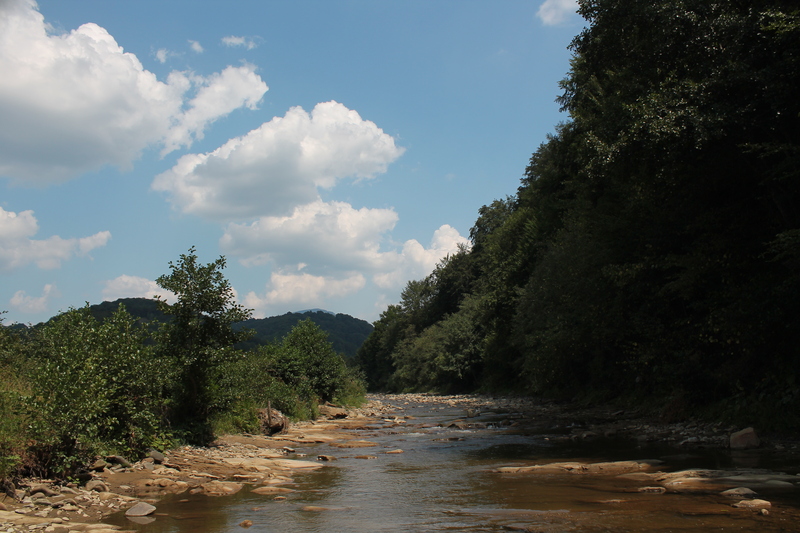 One of my favorite weeks this summer was spent in the Țibleșului Mountains in the Mărămureș region of Romania. 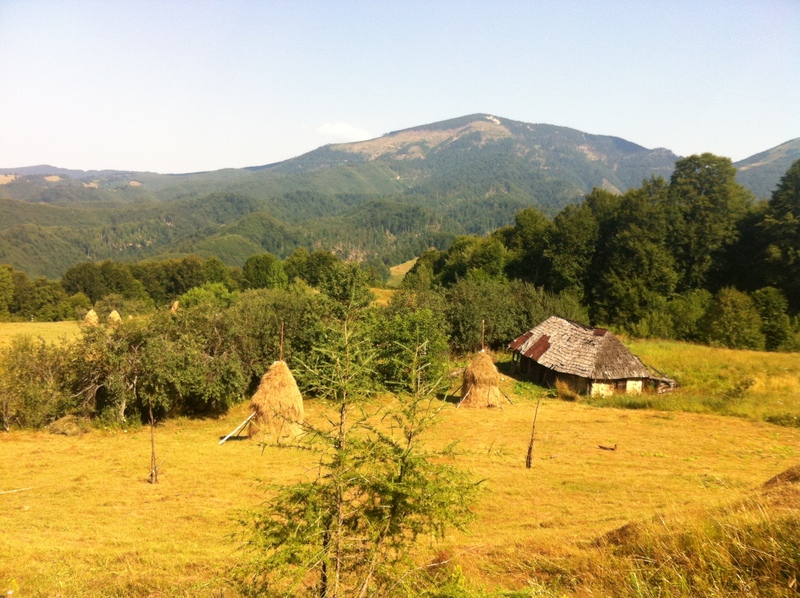 A volunteer in the group preceding mine had been assigned to work in a general school in the small remote village of Groșii Țibleșului. This volunteer integrated himself into the community in a way I hadn’t yet seen, fully learning the language and building some incredible relationships. 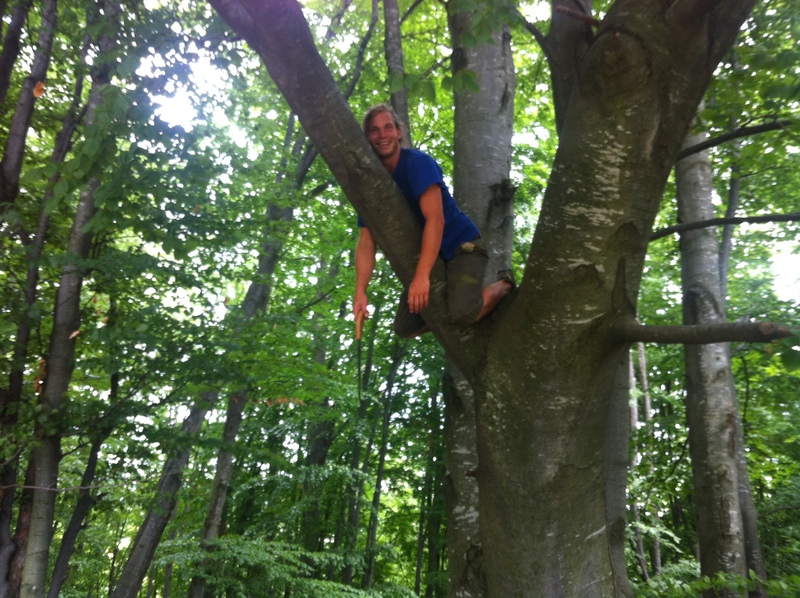 Through his integration, he worked on a secondary project to improve the condition of the local hiking trails in an effort to increase tourism and incentivize against logging. 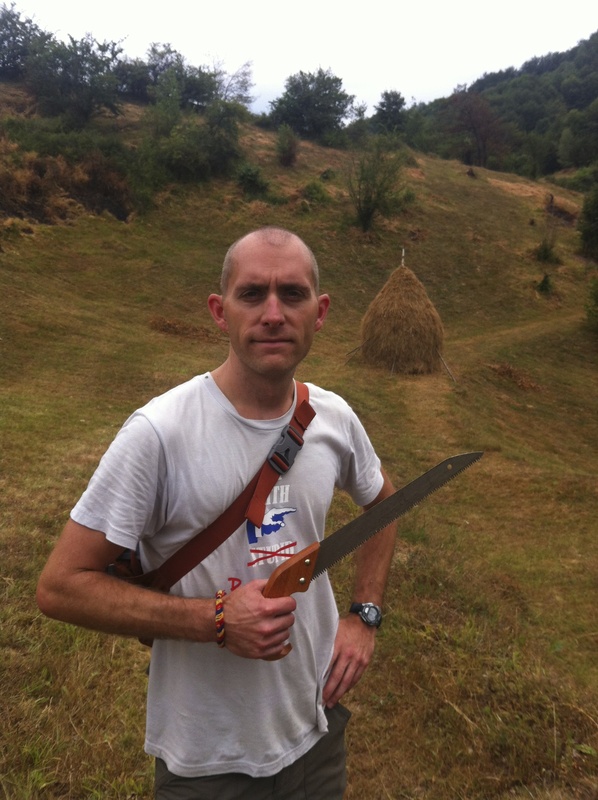 To this end, every summer he and his counterpart, Horațiu, host trail marking and clearing camps. Welcoming a change from the screaming kids at English camps, I gladly signed up to help out with a full week of sawing branches and painting trail markers; little did I know what an incredible experience this would be. Travelling together from one camp to the next, seemingly inseparable, Aran and I made our way this time to Groșii late on a Sunday afternoon. After navigating a series of maxi-taxis, which winded their way through the mountains from Cluj-Napoca, we arrived to a warm welcome from our volunteer friend, Ryan, beers and homemade horincă in-hand. Like many Peace Corps Volunteers, Ryan is no average chap; looking as though he had just stepped out of the wilderness, with a long ponytail and thick scruffy chops flanking his jawbone, he smokes hand-rolled cigarettes like nobody’s business while waxing poetic about the importance of saving Romania’s forests. Ryan is a stout fellow who looks fully capable of wrestling a bear to the ground with a lit cigarette in one hand and a shot of horincă in the other, with no concern over spilling a drop. He reminds me of the sailor (perhaps the Robin Williams version of Popeye), with his bulbous forearms and a perpetually mischievous twinkle in his eye. 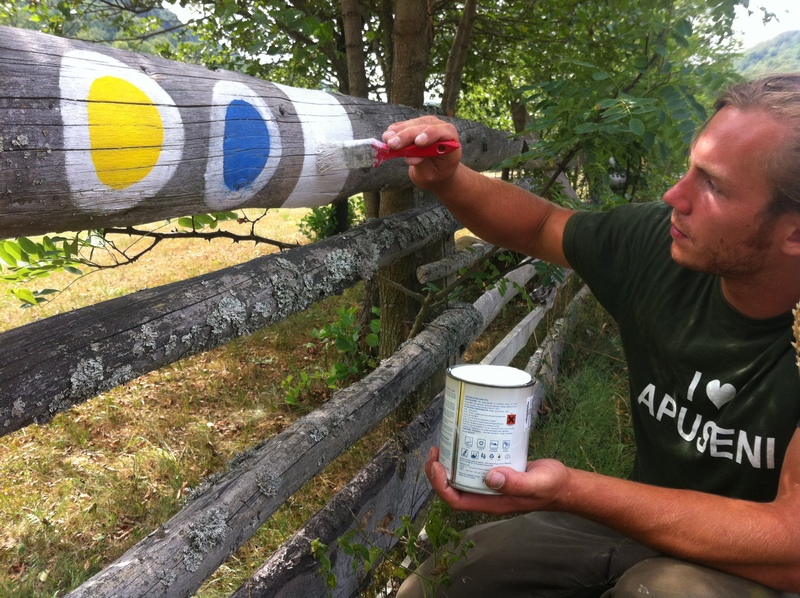 His uniform, a pair of blood, coffee and paint-stained military green pants rolled up to just below the knees and an “I love Apuseni” t-shirt. If ever there were a fisticuffs battle between loggers and conservationists, Ryan would undoubtedly tip the tide in favor of Mother Nature. 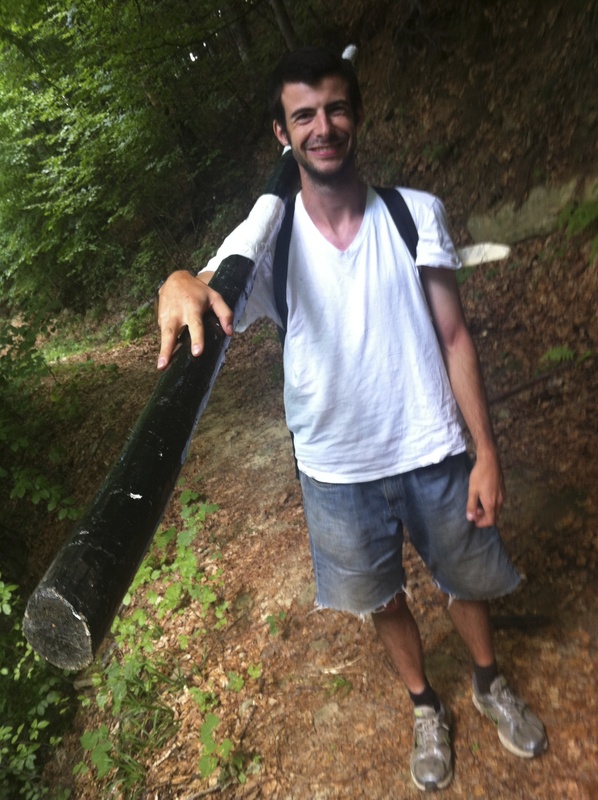 After spending only a short time with Ryan it became immediately apparent how perfect his assignment to Groșii Țibleșului had been; many volunteers wouldn’t have thrived in this rural environment as well as him and he certainly wouldn’t have enjoyed the city life of a site like Aran’s in Ploiești. With a beer in each of our bellies, Ryan showed us to our campsite in the backyard of the locally owned pensione that’d be providing our meals for the week. Groșii is surrounded by beautiful, tree-lined foothills, which lead to the nearby mountains. Just beyond the back edge of the property where we’d be staying was a shallow stream that babbled through smoothed boulders which would provide many a welcome, refreshingly cold rinse-off after the long, laborious days ahead. Once we built the tent and threw our stuff inside we saddled up to the dinner table loaded with sarmale (the first of many incredible meals) and made our acquaintances with a group of French Scouts, guys and girls, who had travelled from Paris to volunteer for the week. Certainly an energetic bunch, they coaxed me into leading a game of Ultimate Frisbee with the disc I had packed along for the summer and we played until the sun had thoroughly set and we couldn’t see the disc in front of our faces. This was definitely a great summer evening and perfect introduction to the mates we’d be working alongside. After our first full day of trail blazing, the scouts built a fire for us to relax around after dinner but before heading to bed. We were all enjoying the cool night air when out of the blue an argument erupted between four or five of them. Being that this was all in French I had no idea what was going on when, at last, they threw their arms up in frustration and bolted off in separate directions. Apparently all part of a larger plot, the argument was only an excuse for them to initiate a set and wardrobe change because within five minutes they had all returned, dressed head to toe in black, dawning aviator sunglasses and military style hats. Unbeknownst to us they had a full evening of activities planned with an over-arching theme of an American Military invasion of Romania. So to be clear, we had a group of high school senior aged French Scouts pretending to be American Navy Seals — absolutely hilarious. The program that followed included a series of physical strength tests such as pushups and a competition whereby we were required to hold a full 2.5 liter bottle of beer up with one arm extended straight out as long as possible. After surviving this pseudo boot camp, we broke up into groups and were tasked with creating a skit of our own, highlighting the day’s events. Ours focused on a few of the finer points of the day including an incident where I almost sawed my left leg off and one of the scouts patched me up. For hours this went on and included crazy French songs and scout games. One that I found really interesting is a bit difficult to explain but resulted in our creation of a sort of circular human pyramid where we had to rely on our collective strength to hold it all together. At an all too late hour, our camp leader recommended we wrap things up so as not to further annoy the Romanian neighbors. The next day was positively grueling with a mix of extra hard work as punishment from the trail master and my aging body, which definitely doesn’t heal as quickly from such antics as it once did. Regardless, the show the scouts put on was truly amazing and an incredible amount of fun. For better or worse, these scouts have a certain affinity for singing at the top of their lungs while riding the bus to the trailhead. There were times when I wasn’t sure whether to be more astonished at the fact that my ear drums hadn’t ruptured or that their vocal cords hadn’t torn (either of which would have been fine by me after a few days of this). One of our bus rides home wasn’t particularly lively, it had been a hard and rainy day, with our spirits dampened by the unfortunate progress some of the loggers had made on clearing the forest since the previous year. The mood was downright solemn and defeated as we road silently home, when suddenly our driver veered off the main gravel road and onto the dirt parking lot of a freshly painted pensione, complete with a long sheltered outdoor picnic area. As it happens, the mayor of Groșii Țibleșului had arranged a surprise “Thank you” party for us. 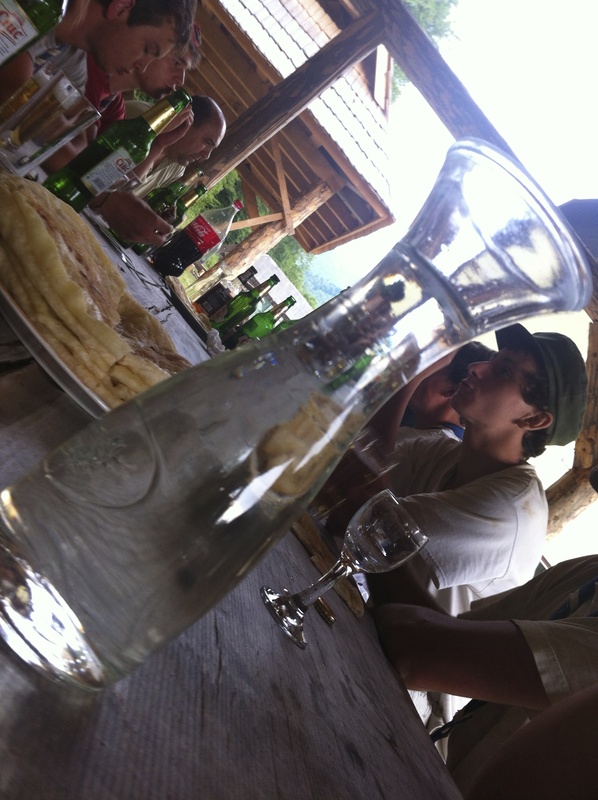 The long wooden table, ironically a thick, ages old, tree cut in half long ways, was prepared with tall steaming plates of fresh baked placintă cu brânza, and rows of shot glasses flanked by jugs of țuică, not to mention an added bonus of Jack Daniels and Coca-Cola. This was definitely a welcome thank you for the hard work we were doing and needless to say the Scouts had rather robustly gotten their voices back afterwards. The rest of the week was one day after the other of many long, hard hours clearing and marking trails through the mountains. One of the things that really struck me about this whole experience was that each trail we worked was very much unique with its own characteristics and majestic views. 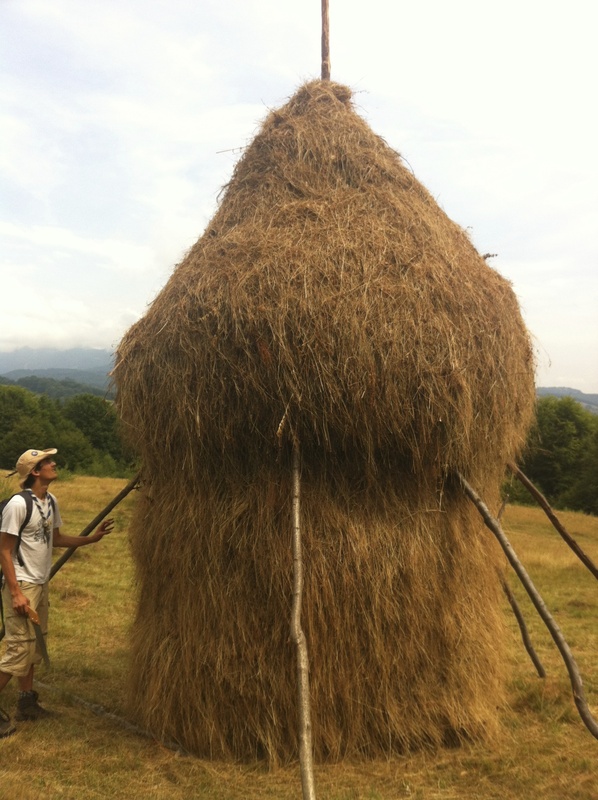 Our first trail winded around haystacks and through open, sloped farmland. The next was a steep grade, seemingly straight up, a jagged mountainside with tall pine trees guiding our way. 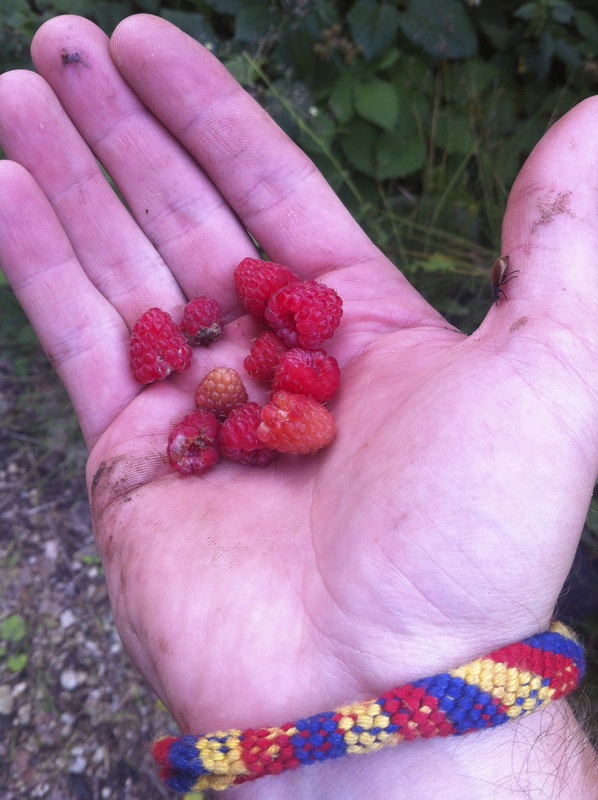 Many of the trails were endlessly lined with raspberry bushes loaded with plump, ripe berries that were bursting with flavor. 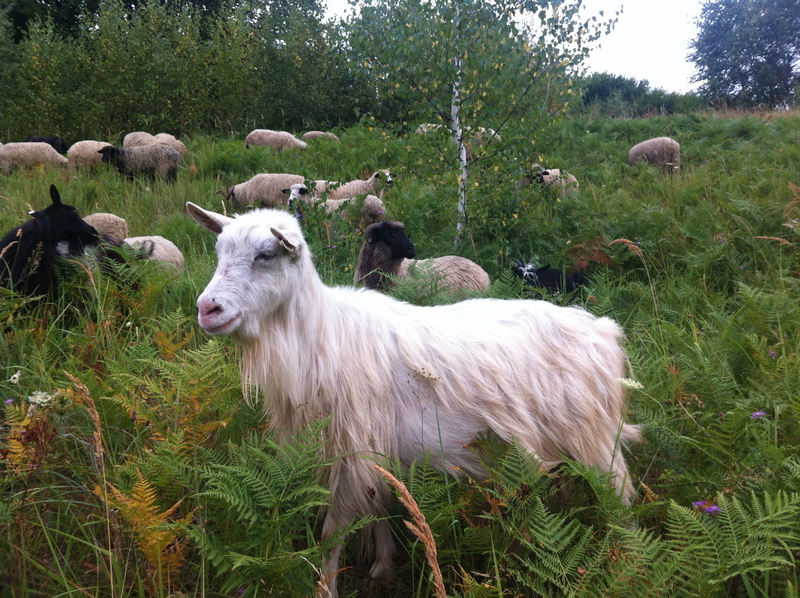 Another trail took us along the peak of the mountaintop where we met goats, shepherds and Carpathian bear dogs. Perhaps my favorite was the final trail that we worked on Saturday which led to views of the landscape seemingly straight out of a fairytale; from our vantage point we could see countless rolling hills dotted with farmhouses, shepherds and villages all illuminated by the bright summer sun and accentuated by brilliant fluffy white clouds lining the horizon. An undeniably tiring week, working the trails of the Groșii Țibleșului mountains was at once exhausting and immensely rewarding. Often times we would work our way along the trail up the mountainside clearing and marking away and then return back down the same path on our way home, soaking up the fruits of our labor which were immediately evident. Not only was this a great time where I was surrounded by beautiful scenery and a camaraderie few get to know; this week was also a much need shot in the arm of enthusiasm for the work Peace Corps Volunteers accomplish in Romania. Often times our efforts as TEFL instructors go unnoticed by locals and even ourselves because usually the work we do is not immediately measureable. Switching gears for a week and being involved in something so tangible was really refreshing. 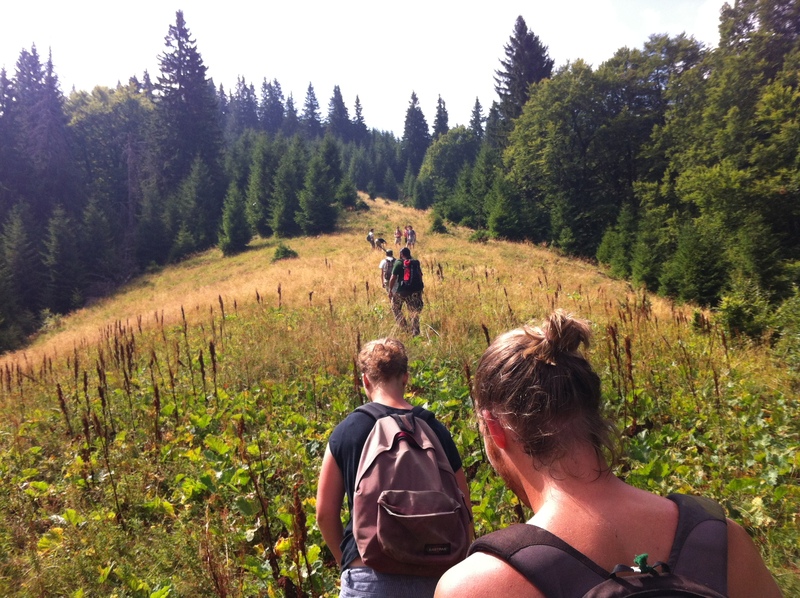 Leading up to this summer, I confided in friends that I had a feeling this coming summertime would probably be one of the best my life had ever or would ever see; working the trails in the mountains of Romania went a long way to making that statement true.